Darren Lehman says the ball-tampering saga was emotionally taxing and that he wished Cricket Australia were more supportive. 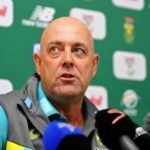 Darren Lehmann opens up about the demands, as well as the trials and tribulations, he faced during his tenure as the Australian national cricket head coach. 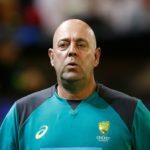 Former Australia head coach Darren Lehmann will take up a new coaching role under National Performance Program head coach Troy Cooley. 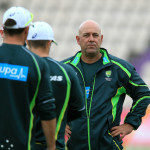 Australia coach Darren Lehmann has announced that the fourth Test against South Africa will be his last. Australia’s bullish coach Darren Lehmann admits that the macho, aggressive Australian culture must change. Australia coach Darren Lehmann hopes that fans will forgive the three players involved in ball tampering and give them a second chance. As Cricket Australia CEO James Sutherland flies into Johannesburg to conduct an investigation into the ball-tampering scandal, the spotlight is turning on to coach Darren Lehmann. 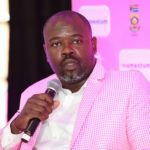 Cricket South Africa has boosted security for both teams after Friday’s unsavoury incident which saw Australia’s David Warner verbally abused by a spectator. Twitter reacts to Darren Lehmann comments about the South African fans. 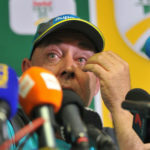 Australia coach Darren Lehmann has made his feelings known after star batsman David Warner found himself in a verbal altercation with a spectator in Cape Town. 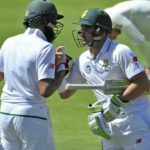 Australia coach Darren Lehmann believes the ‘go-slow’ session by Dean Elgar and Hashim Amla in the second Test was the perfect innings. David Warner’s senior role within the Australia team is not in jeopardy as a result of Sunday’s spat with South Africa wicketkeeper Quinton de Kock.